Cross and Cutlass: Do you Know God? Or Know of God? Do you Know God? Or Know of God? Let's face it, we all have lots of people who we would call acquaintances, people we've met or people we may have had a conversation or two with, but how many really close friends do you have? I'm talking about the person you would go to when you are really in trouble, the one who really cares, who you KNOW you can trust. Most of us may only have one such person in our life, if we are lucky. I came to Jesus late in life, but I came into the Kingdom with a bang!! I was so on fire for God I just assumed everyone who called themselves Christians would feel the same way I did. But I soon discovered that many, if not most Christians I met, didn't have a lot of zeal for God. It was disappointing to say the least. Now, twenty years later, after traveling from church to church here in the Bay Area, I am forced to the following conclusion. There are many people who profess to know God, people who can recite Scripture after Scripture, people who can even teach Sunday School and sometimes preach a pretty good sermon, people who may even be leading Bible Studies, but they truly don't know God. They don't have a relationship with Him at all. And the sad thing is, I don't think many of them even realize it. Yikes, that's kinda scary, isn't it? And it flies in the face of what many of our western churches will tell us.. that all you need to do is "believe" in Jesus, repent of your sins, and you're in the club! Just say this prayer, repeat these words after me, and you're going to heaven! Oh, how crafty our enemy is!! He twists words and even the Scripture, plucking things out of context, planting lies in people's minds, getting them just enough off track that they are still swallowed in darkness, while they believe they are in the light. They believe in their heads, but not in their hearts. They may read their Bibles just like we may read a magazine about our favorite movie star. 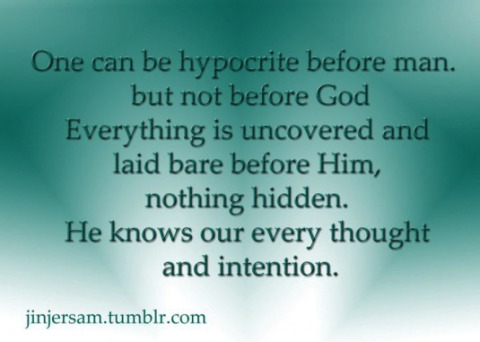 They may know every detail about God, but they've never spent any time with Him. They've never done the hard work that every relationship requires. The hours of time that must be spent together, talking AND listening, searching the Scriptures for God's will and truth, crying in your Heavenly Father's arms. Is it possible to have a relationship and truly know an invisible God? Yes!! An emphatic Yes!! James has much to say about people like this. Disclaimer: I'm not saying that any of us can do anything to be saved!! We are saved by GRACE, not works. All I'm saying is if you are truly saved, there should be a change in your heart. So, how do you know if you have just a head belief or a heart belief? Here's just a few questions I put together that might help you. This is not meant to discourage anyone or condemn anyone. And I certainly don't want to put anyone in fear. Also, if you don't answer yes to every question, that doesn't mean you don't know God. These are just guidelines.. We are all in different places in our walk. I can't answer yes to all of these, but I can answer yes to more of them than I used to!! The point is, if you are truly God's child and His Spirit lives in you, you should be changing.. you should be moving more toward answering yes to more of these questions every year. Do you consider reading the Bible a chore or is it something you look forward to? Do you look forward to your prayer time, to spending time with God? Do you make time everyday for God no matter how busy you are? Do you love talking about God with other Christians? Do you talk to God off and on all day long ? Do you love going to church and Bible Study? Do you listen to sermons on your own time or in the car? Do you find yourself singing praise songs during the day? Are you excited about Jesus's return or would you rather not think about it? Do you ache for the lost? Do you find yourself more interested in pleasing God than pleasing yourself? Have you noticed old habits and desires are fading and other things are becoming more important? Do old temptations and sins no longer interest you? Do the things of this world not hold the same fascination for you? Money, success, romance? When you're resting, what do you think most about? Do you find yourself caring more for others than you used to? The above things are all indications of a changed heart. And only God can change a heart. Only the Holy Spirit inside of you can give you a zeal for God and the things of God. If you've been a "Christian" for awhile and you can honestly say that you haven't changed in any of these areas, then my suggestion is that you get alone with God, repent, and ask Him to save you, to fill you with His Spirit and change you. Then do the hard work. 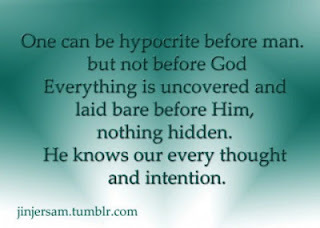 Spend time getting to know Him! "Morning, MaryLu ... and crew." Wow, this sure hit home !!! You brought many good things to light. I fear the "Church" has made too simple, the sinner's prayer, and new found life. "Just say this magical prayer, and you're "in like flint" .... !" But, in truth ... it's not simple at all. Just as you described -- it takes hard work, dedication, committment, passion and zeal -- to truly get to know our Lord, and His Word. Well ... the questions you asked, put me to shame ... I do love the Lord, but, I have lost much of my zeal. I definitely need to get my heart 'right before Him', once again. To be changed, and have that 'first love' be on fire, once again. Thank-you so much, for "another timely word in due season" !!! Excellent post, MaryLu! I think it is interesting that when you read Scripture, you don’t find people who change because they are trying to earn a spot in heaven. Instead, you find people who change out of joy over having their sins forgiven. They have a true desire to do what the Father commanded because of what He has already done for them. But because they never can do all He commanded, they continually have to come back to the Son admit their failures and receive forgiveness again and again. We are so blessed that we have a God who truly is merciful and loving that He would send His one and only Son to die for us! May the Holy Sprit continue to open my eyes to this wonder, draw me ever nearer to Christ, and place a love for His commandments within my heart! Wishing you and your readers a blessed week! Thanks, again, for this one, MaryLu. I've been looking for a blog with the right balance between Truth and Grace. This is the one. I want to SERVE this Awesome God. I read the passion written in the Bible for Him. People willing to give it all for Him. How can we go about our daily lives without considering all He's done for us and not be changed? Thanks Ladies!! This was a tough post to write but something the Lord has been putting on my heart for awhile now. I didn't want to invoke fear or guilt.. but I think these things need to be said.. especially in these days when the church seems so weak and cold.. at least here in the West. We are missing so much by not "knowing" God!!! The closer I get to Him, the more wonderful it is.. :-) I have so much farther to go!! Hugs! Sorry, I am just catching up on some blogs. This was a great post, MaryLu, and soooo true! I love the questions, they truly make you think. Thanks for sharing! Is repentance a necessary act that is required by men for salvation or are men saved by "faith only?" Acts 17:30-31 Therefore having overlooked the times of ignorance, God is now declaring to men that all people everywhere should repent, 31 because He has fixed a day in which He will judge the world in righteousness through a Man whom He has appointed, having furnished proof to all men by raising Him from the dead. People should repent because God commanded it and because all men will stand before Jesus on Judgment Day. Luke 24:47 and that repentance for the forgiveness of sins would be proclaimed in His name to all the nations, beginning from Jerusalem. Romans 2:5 But because of your stubbornness and unrepentant heart you are storing up wrath for yourself in the day of wrath and revelation of the righteous judgment of God. Men need to repent in order to not experience the wrath of God. A stubborn and unrepentant heart can make men reluctant to believe what Jesus said "and has been baptized shall be saved." (Mark 16:16) Shall be saved; follows water baptism and belief. People should repent because it leads to salvation. 2 Peter 3:9 The Lord is not slow about His promise, but is patient toward you, not wishing for any to perish but for all to come to repentance. All people should repent in order not to perish. Contrary to Calvinist teaching God wants all men to repent. Luke 13:2-3 And Jesus said to them, "Do you suppose that these Galileans were greater sinners than all other Galileans because they suffered this fate? 3 I tell you, no, but unless you repent, you will likewise perish. People should repent because Jesus said "repent or perish." Acts 2:38 Peter said to them, "Repent, and each of you be baptized in the name of Jesus Christ for the forgiveness of your sins; and you will receive the gift of the Holy Spirit. All men should repent so that they can have their sins forgiven and receive the gift of the Holy Spirit. It men believe (John 3:16), confess (Romans 10:9-10), repent (Acts 3:19) and are baptized in water (Acts 2:38) then they are saved. It can take 2 hrs more or less. Repentance does not stop at water baptism. You also need to repent after you become a Christian. THE APOSTLE PAUL WAS TALKING TO CHRISTIANS IN GALATIANS CHAPTER 5. Galatians 5:19-21 Now the deeds of the flesh are evident, which are: immorality, impurity, sensuality, 20 idolatry, sorcery, enmities, strife, jealousy, outbursts of anger, disputes, dissensions, factions, 21 envying, drunkenness, carousing, and things like these, of which I forewarn you, just as I have forewarned you, that those who practice such things will not inherit the kingdom of God.